NBA2K15's new face tech sounded so good in theory. So of course it was a nightmare in action. Or any kind of game with character creation, for that matter. 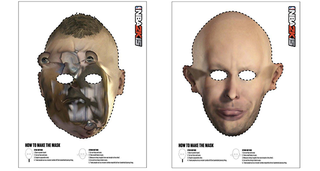 Rather than hide in shame from the screw-up, though, 2K are having a laugh and getting into the Halloween spirit by turning the busted faces into Halloween masks. You can print them out here. While some look a little too deformed to mean much of anything to the average person on the street, there are a few that are deformed just enough - in that Aphex Twin kinda way - to give kids the creeps.